I can’t believe Egon is 6 months old today. It’s amazing how slow the days feel some days, but how fast the time flies. 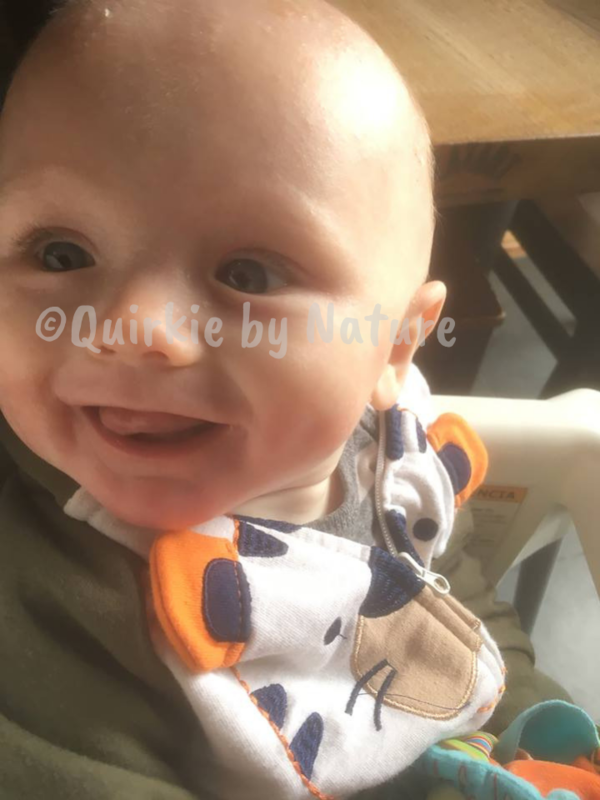 I hate that my baby is growing up, but I am loving watching him become his own little person and seeing how he grows and changes each day. Words do not describe how much we love Oball in this household. One of the first gifts we ever received for him after he was born was a gift basket from my work which included an Oball ball. Since then, we’ve purchased many more items from this brand because of how great they are. They’re a softer plastic, so they flex when they’re grabbed, but they are rigid enough to hold up to the wear and tear. 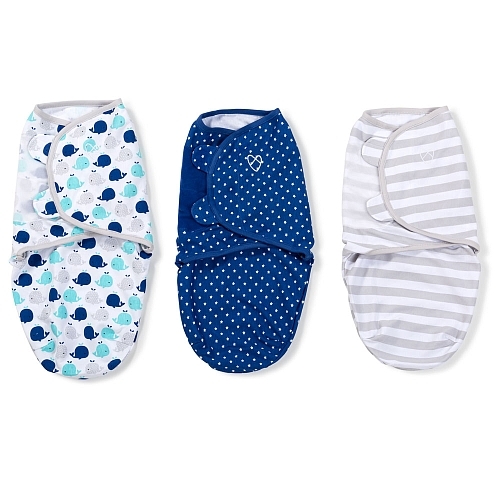 We also love the large holes in them, as it makes it super easy for babies to grab. 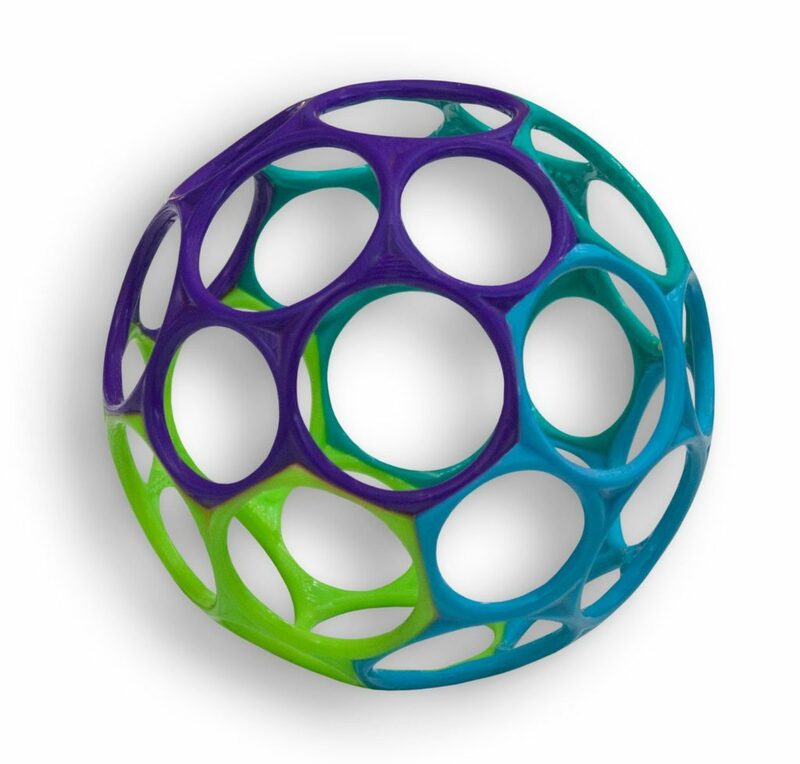 Fun fact: Oball’s teether is the first one that Egon was actually able to use by himself (and believe me, we’ve tried LOTS). Oh, we love you Mr. Ray. Like previously mentioned, Egon loves lights. So when we found a baby gym that featured lights and sounds predominantly, we knew this was the one for him. The fact that it adorably features characters from Finding Nemo was just an added bonus. Egon loves playing with the hanging toys (Squirt in particular is his favourite), and we love that it comes with two different soundtracks, two different volume levels, and the ability to have just the lights playing with no sound. 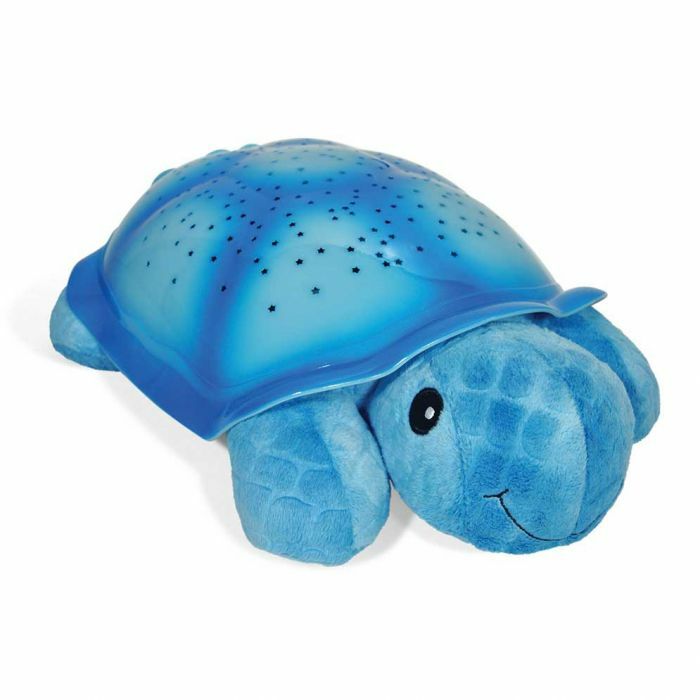 It also comes with a little seaweed pillow to help with tummy time. The only downside is the same as most baby activity gyms. The floor pad is a little thin, so if you have extremely hard floors like we do, you’re going to want some extra cushioning under there. We use foam puzzle mat pieces from Dollarama. Ahhhh, apartment living. You don’t pay property tax, someone else takes care of the building and property, but you’re constantly left with the task of coming up with unique storage solutions. We wanted to find a swing for Egon, but it needed to be able to store well. 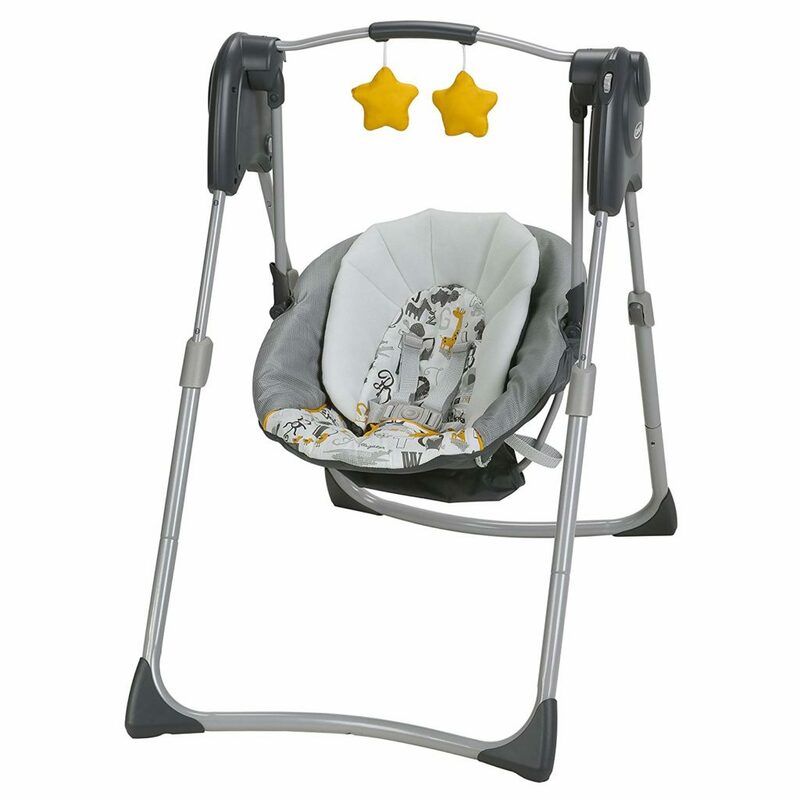 That’s when we found the Slim Spaces Compact Swing by Graco. 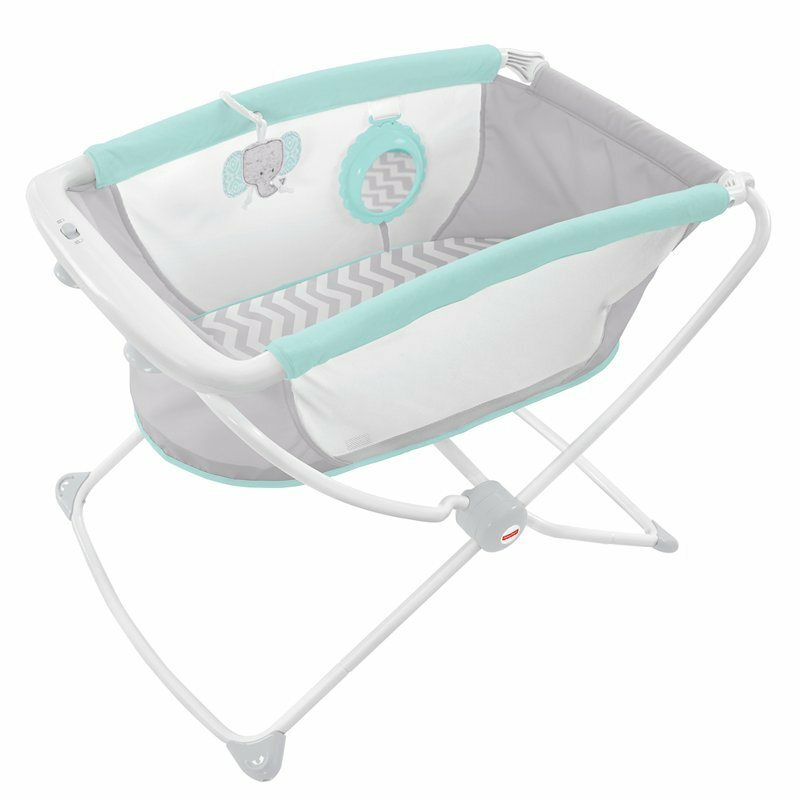 It is a full sized swing, but is able to collapse down super small (not small enough to fit behind a door like the bassinet, but still small enough that it would be able to find under a bed). The only complaint I have about the swing is a really dumb one. It didn’t say on Amazon when I bought what size batteries it uses, but it does show that it’s frequently bought with C cells. So I bought C cells. Guess what uses D cells. So not really a fault of Graco, but rather Amazon. This has since been corrected. For Christmas, Andrew’s parents asked what they could get Egon for Christmas. We suggested Mr. Ray, and that we were looking for some kind of star projector for Egon’s room since he loved to gaze at lights. They got us the Cloud B Twilight Turtle who we affectionately refer to as Lionel. 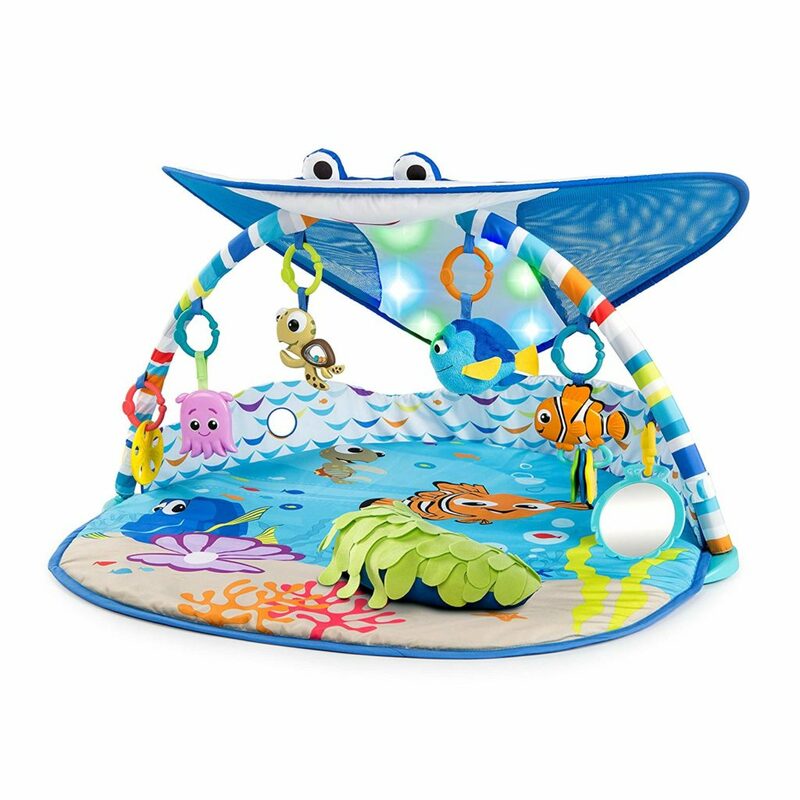 Lionel sits beside his crib and projects stars onto the ceiling in blue, green, or amber light. We can also set it up to cycle through all the colours. It’s also built in that he turns off after 45 minutes. We love Lionel so much, we’re probably going to buy Cloud B’s Twinkles to Go Octo Toy so we have a travel friendly equivalent to Lionel when we’re at Anime North, and when we go to Nova Scotia later this year. We knew we didn’t want to bathe Egon in our sink as we live in an apartment, and the sinks tend to be a little small, but we knew the bathtub was way too big. So we wanted to find a good baby bathtub that would grow well with him. 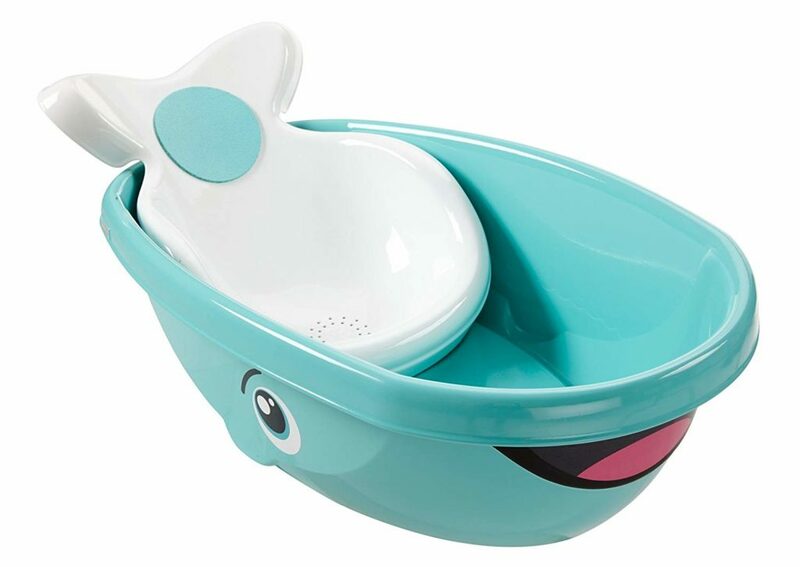 We found the adorable Whale of a Tub from Fisher-Price, and so far it’s serviced us quite well. The tail of the whale serves as an infant seat to help support the baby in the bath, and as of six months of age, Egon still fits. Once he can sit completely on his own, we can remove it and he’s left with all sorts of room. There’s also a convenient plug at the bottom to drain the water out. One of the things I stressed over before he was born was what to do about a baby monitor. Did we need one with audio? Video? Should we spend an obscene amount of money? 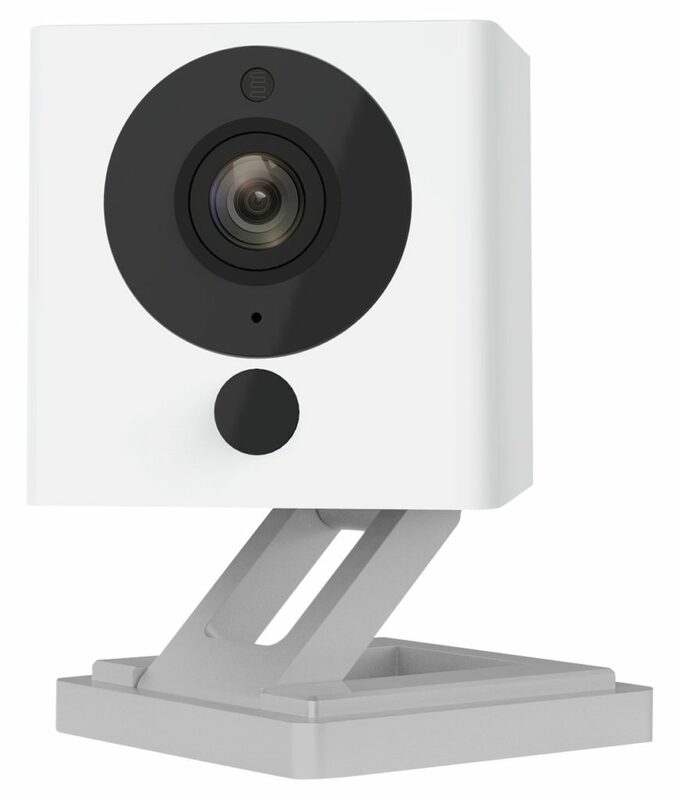 Enter Wyze Cam. This tiny, mountable camera is actually part of a home security system. It was suggested to me by my best friend as she uses the same for her son. It plugs into the wall, and then connects to your phone via WiFi. It offers two-way audio, night vision mode, and advanced settings to set up different alerts if it detects certain things. The best part? It only cost me approximately $37 off Amazon (the price will fluctuate as there are no officially authorized sellers in Canada). The only two negatives I have for it, are that as of this moment there’s no compatibility to open it up on a desktop so I can’t open it on my spare monitor while I’m working, I have to keep it open on my phone. The other is that because it runs off WiFi, with my crappy cement walls, the reception can be spotty sometimes. 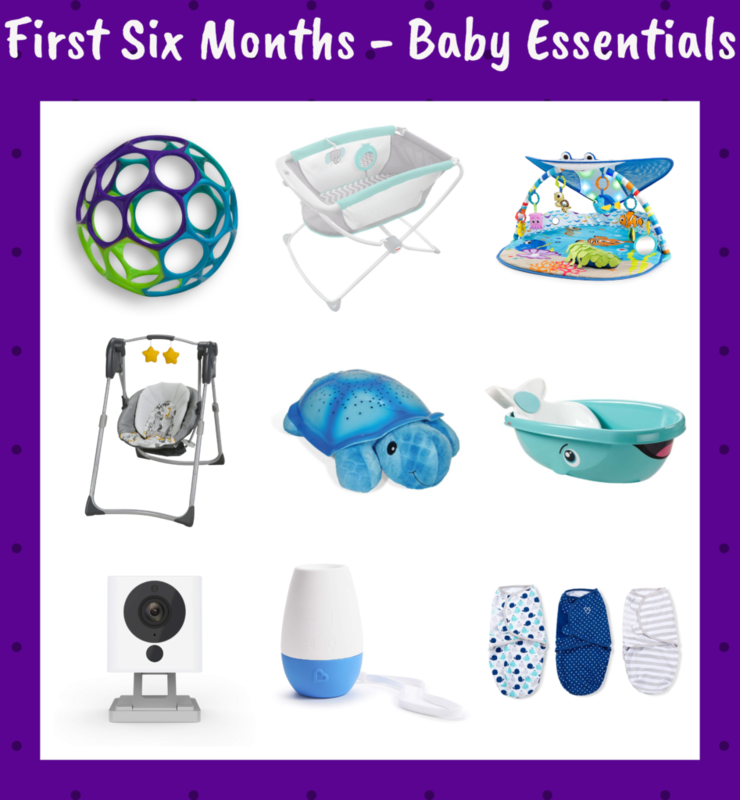 One of the items we put onto our registry was a small white noise machine. We originally used our phones, but we wanted something that was his and that was super simple. 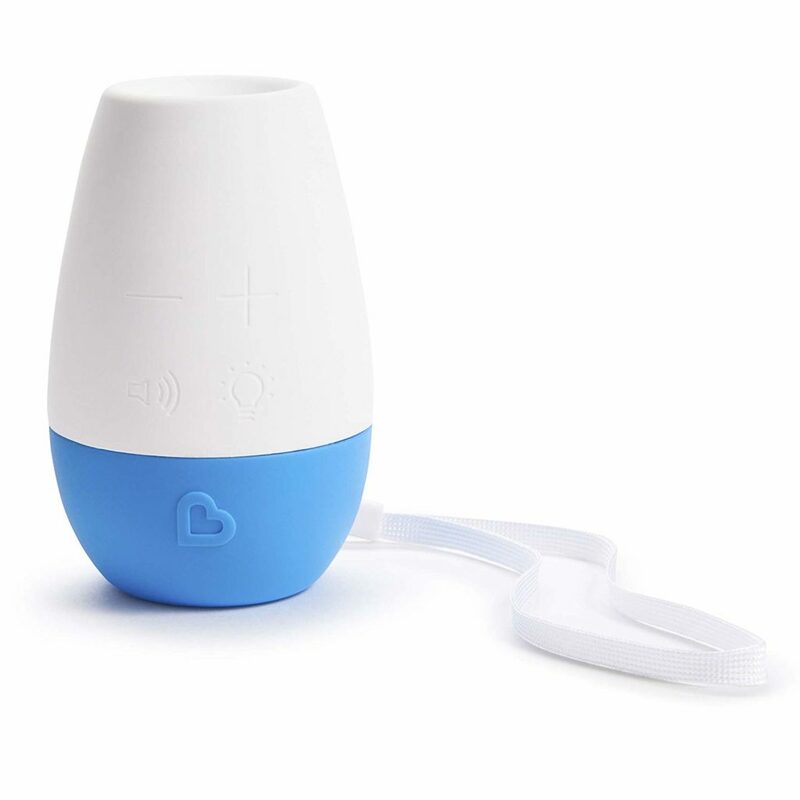 I went with this one by Munchkin because it’s pretty durable, has a few different sounds, is small enough to be portable, and can double as a night light. We love the fact that it has a timer for 10, 20, or 30 minutes, so we aren’t stuck listening to it going “Shhhh Shhhh” after long after Egon has fallen asleep, and it’s not needlessly killing batteries. It comes with three sounds as well which include “Shhh”, a heartbeat, and your classic white noise. In our case, Egon responds best to the “Shhhhh”. The only negative thing I have to say about it is that while it does have a nightlight, it’s not the brightest and we usually use something else to act as a nightlight. Confession time. I cannot swaddle a baby using a blanket to save my life. I swear the nurses at the hospital were freaking wizards with how swiftly and securely they can swaddle a baby with a blanket. 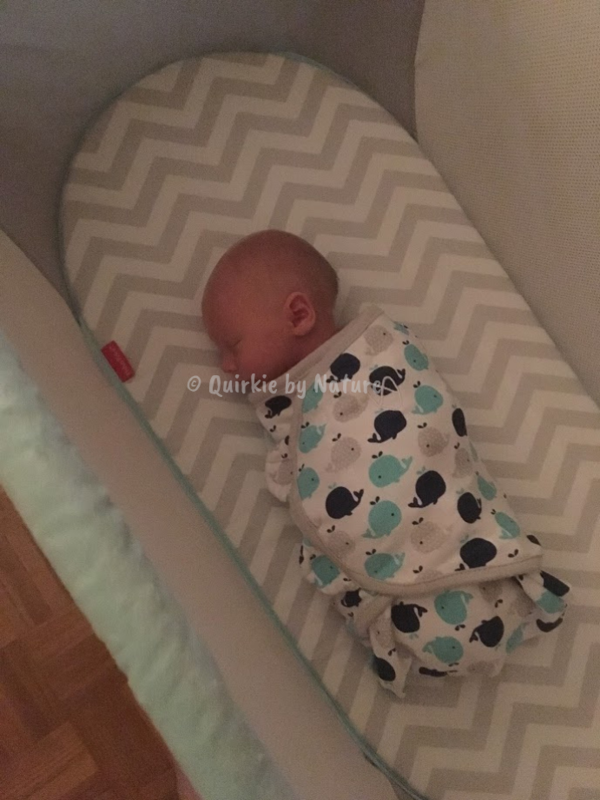 Luckily, Summer Infant SwaddleMe Swaddles were something I registered for before Egon was born and we were lucky to be gifted with. They make it incredibly simple to swaddle the baby as the sides can only be secured in one way only. Once Egon started rolling however, we had to stop swaddling him with his arms in, but he still liked having the pressure of the swaddle around his middle when he was sleeping. After looking around, I found Summer Infant also made the Wrap Sack. 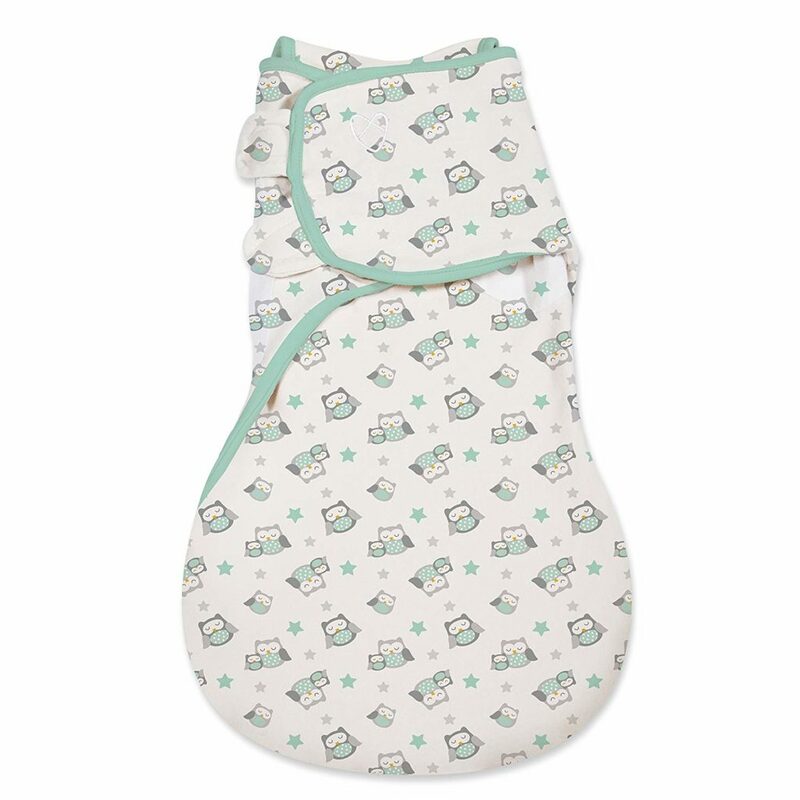 The Wrap Sack is like if you combine a sleep sack and a swaddle. 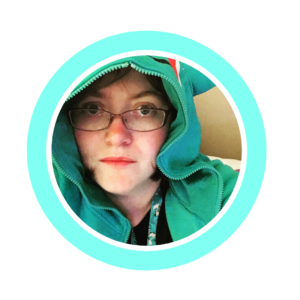 You can make it so one or both arms are swaddled in, or just wrap the sides down the middle to have both arms out. As of last week though, we have graduated completely from swaddles in our household.